APIs are needed for various reasons, such as by mobile apps to interact with backend CRUD operations. Creating maintainable APIs is not a simple task. As the application grows, so does the need to version and maintain the API. In this tutorial, we’ll have a look at Grape, a micro-framework for creating maintainable REST-like APIs in Ruby. We’ll be using Rails and grape together to create the API. It will expose the Employee model to other applications, consuming the back-end CRUD operations for that model. The API can be used by rich web applications, like the ones created using AngularJS, Backbone.js, etc. or native mobile applications to create, edit, update, and delete employees. Let’s start by creating a Rails application and installing the Grape gem. I’m using Rails 4.1.6. Create a new Rails project, skipping the bundle install. Once the project files are all created, navigate to the project directory (emp_api). Open the Gemfile and include the grape gem at the end of the file. All the API files will live inside the app folder. Create a new folder called api inside emp_api/app/. Inside emp_api/app/api create another folder called employee, and a file in that directory called data.rb. This file holds the class to access the Employee model. Inside emp_api/app/api/ create another file called api.rb where we’ll mount the class defined in emp_api/app/api/employee/data.rb. We need to access the Employee::Data class functionality inside the API class. So, we’ll use mount to make Employee::Data class accessible inside the API class. You’ll see  as response, since we don’t have any data yet. We don’t have any way to add employees, so let’s fix that. Add another API endpoint to create a new employee. We’ll need certain values to create an employee, such as name, address, and age. Grape allows us to define whether these parameters are required or optional in the API itself. Open app/api/employee/data.rb and add the following code to create the API endpoint for employee creation. desc "create a new employee"
The delete and update API for the employee model follow the similar pattern to our read and create endpoints. Restart the Rails server and test the API by deleting the employee we created earlier. Now, if you check the employee listing api, you should get a empty response. desc "update an employee address"
But we don’t have an employee to update. Remember, we deleted the last employee, so we’ll need to add one back in order to update it. curl -X PUT http://localhost:3000/api/v1/employee_data/2.json -d "address=mumbai"
In this tutorial, we got started creating a simple CRUD API using the Grape framework. 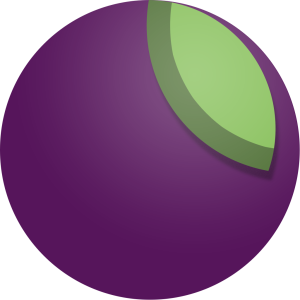 Detailed documentation regarding Grape is available on their GitHub pages. Code from this tutorial is available on GitHub.